Free Magazine Subscription: "Marine Log"
Is dedicated to providing marine industry professionals with the information they need to enable them to design, build and operate vessels, rigs and offshore structures, profitably, safely, legally and in an environmentally responsible manner. By submitting this content request, I have legitimate interest in the content and agree that Simmons-Boardman Publishing, their partners, and the creators of any other content I have selected may contact me regarding news, products, and services that may be of interest to me. By providing your email address, you are agreeing to receive email communications from Marine Log. Marine Log does NOT sell to or share subscriber email addresses with third parties. 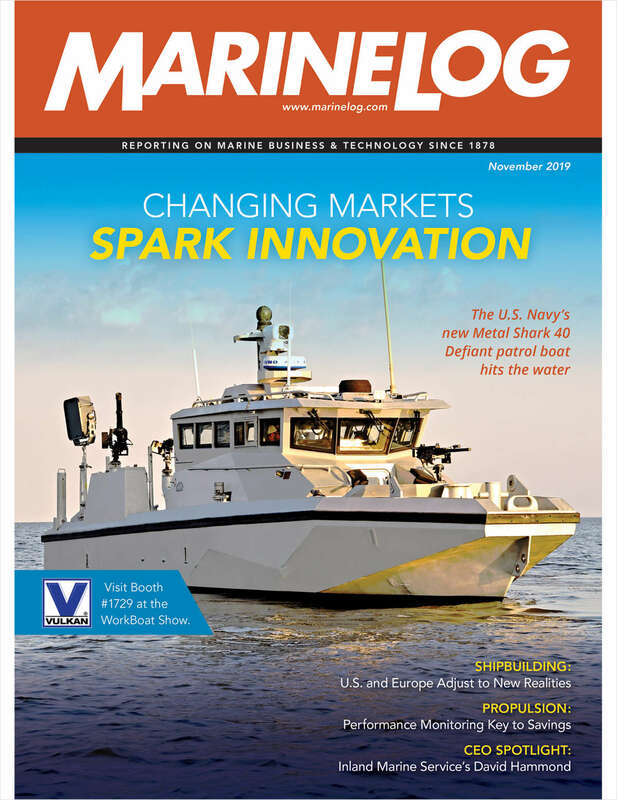 Do you wish to receive a FREE subscription to Marine Log? In what format would you like to receive Marine Log? I would like to receive occasional product news and special offers via email from Marine Log Partners. Please select the business/industry that best describes your company. Please select the category that best describes your job function. What is your role in the purchasing process? What is the number of vessels operated by your company? Please describe the product or service your company provides to the marine industry. For verification of your request, please enter the first two (2) letters of the city/town where you were born.' For example please enter 'CH' if your city/town of birth is Chicago. Complete and verifiable information is required in order to receive this subscription. • Geographic Eligibility: USA, Mexico (Print or Digital Version), Select International (Digital Version Only). • The publisher determines qualification and reserves the right to limit the number of free subscriptions.